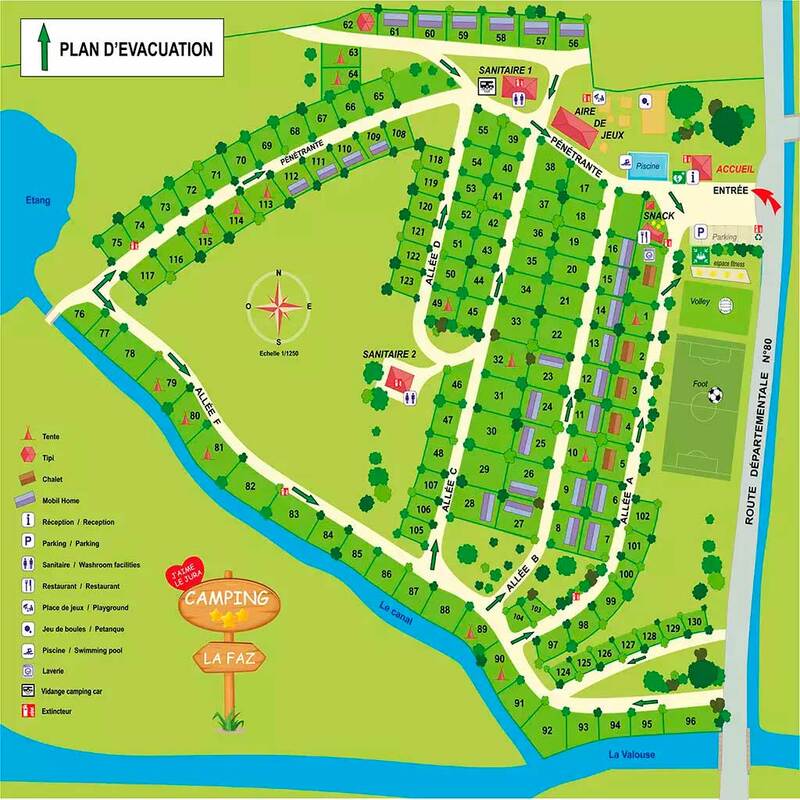 The campsite la Faz is located near the Vouglans lake, in Ecrille, in the heart of the Jura mountain. At the doors of the Haut Jura Regional Natural Park in the lakes region, at 1,5kms south of Orgelet. The campsite extends along the Valouse, one of the Jura rivers most renowned for its trouts. Choose your holiday rental ! Unusual chalet of more than 40m² on a quiet and remote location, in front of a meadow. Fully equipped wooden chalet of 35m² with 2 or 3 bedrooms and a 10 m² terrace. Book now at the best price your mobile home a stone's throw from Vouglans lake in Jura ! For atypical stays, choose our tents. The campsite location is ideal for walks surrounded by nature in the Jura. Enjoy the wonderful landscapes around the campsite. You can enjoy and relax on the beaches of the Vouglans lake, go for a trip to the waterfalls ( Herisson waterfall, Quinquenouille waterfall, ... ), or the caves, visit churches, castles, museums goto vineyards to taste the famous wine of Jura go to the high mountain pastures of Haut Jura, and don’t forget to go to Switzerland.